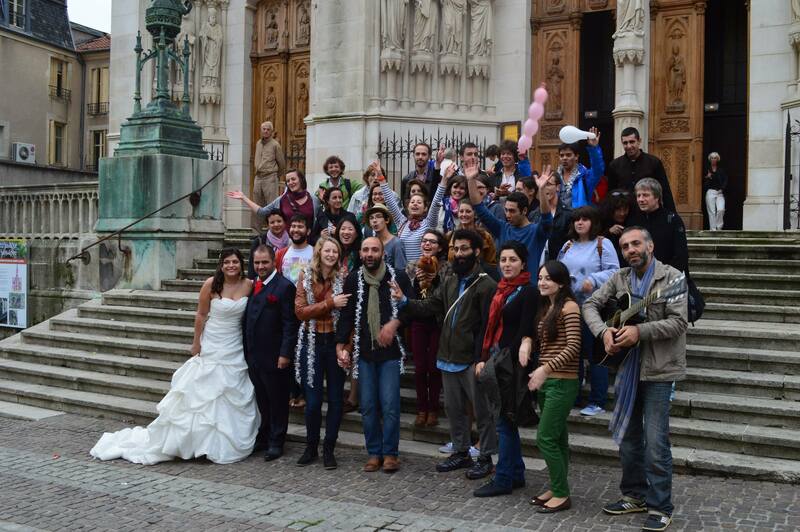 From 08/26 – 09/09/2013, young people from Armenia, Turkey, The Ukraine, Germany and France met in the French city of Nancy. Inspired by the Babel tower construction myth, they collectively developed and shot short movies dealing with issue of tolerance and intercultural understanding. In a theatre workshop, the participants had the chance to give acting a try and mess around with the public space. In addition, they took part in the Nancy-Lorrain International Film Festival as young judging panel. The project was organized by our partner organization Aye Aye V.O. Kultur Aktiv delegated 4 German participants from Dresden and Weimar as well as one workshop leader. The youth exchange was financed by the program “Youth in Action”.